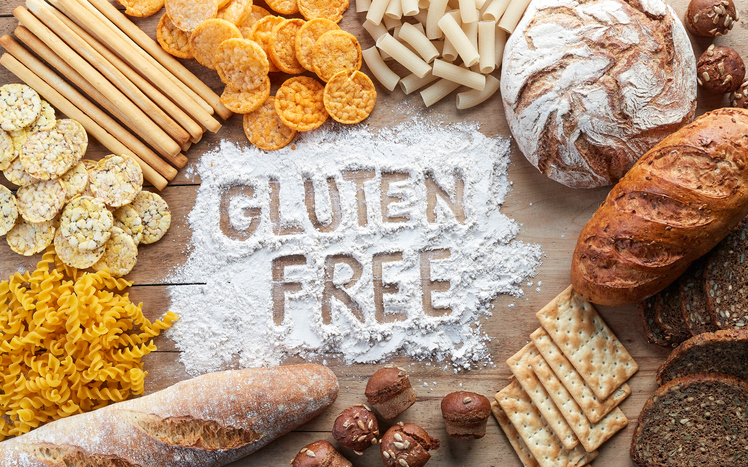 Contrary to popular belief, you don’t need a diagnosis of celiac disease, nor does it matter if you have gluten sensitivity, to find a worthy reason to stop eating gluten. The bottom line is: If you consume gluten, you’ll experience gut permeability and unwanted inflammation. And whether you’re a professional athlete or an amateur tennis player, you want to eat to help your game, not hinder it. Here’s why tennis players should go gluten-free to improve their athletic performance. In a healthy digestive system, the cells that form the paper-thin lining of the small and large intestines are packed very closely together. In fact, they’re so close that only what should pass through—digested food (solutes) and water—can enter the bloodstream. But the tight junctions of the gut lining can easily be disrupted and become too porous. Diets high in gluten, chemical-laden foods, and foods you sense you’re allergic to can damage the gut lining and force it to become more permeable. These factors also affect the balance of both the trillions of beneficial and harmful bacteria in the gut. When this balance is disturbed, harmful bacteria can get the upper hand and cause an increase in gut permeability. When the gut is repeatedly exposed to toxins, chemicals, and gluten the result is intestinal hyper-permeability, or “Leaky Gut Syndrome.” This condition allows toxins, bacteria, undigested food particles, and other undesirable gut contents to enter the bloodstream and circulate to the rest of the body. A leaky gut can cause systemic inflammation. Because of this, the immune system may not protect the body as well as it should, leading to fatigue as well as joint and muscle aches. Digestion is also adversely affected, and people with leaky gut often complain of bloating, cramps and diarrhea. How does gluten impact athletes? Inflammation is part of the body’s complex biological immune response to illness, infections and wounds. Up to a point, inflammation is normal and even desirable. But chronic inflammation can lead to joint pain, digestive issues, and other long-term health problems. When the gut becomes inflamed, you’ll typically experience symptoms of gas and bloating. Meanwhile, inflammation of the brain’s neurons doesn’t necessarily cause pain, but instead reduces nerve conduction. This reduced nerve conduction results in slowed nerve transmission, or what’s commonly known as brain fog. Ultimately, increased inflammation leads to decreased athletic performance—both physically and mentally. A 2015 study of almost 1,000 competitive athletes in Australia found that a majority avoided foods containing gluten because they thought that they were allergic or overly sensitive to it. Of those participants, only 13 percent had received a formal medical diagnosis of celiac disease or other gluten-related disorders. So why did so many athletes go gluten-free? Participants told researchers that they believed that a gluten-free diet would reduce their digestive problems. In fact, as many as 90 percent of athletes reported experiencing occasional bloating, cramps, diarrhea and other gastrointestinal symptoms during or immediately after exercise. While giving up gluten means giving up many of the carbs you’ve relied on to fuel your sport, athletes ultimately benefit from a diet that is low glycemic index, high in fiber, and adequate in lean protein. So, what’s the better choice versus gluten? Start first with medium-chain triglycerides, or “MCTs,” commonly found in coconut oil or taken as a supplement. These fatty acids are slow burning fuel compared to fast-burning, gluten-laden carbohydrates. Then, repair your gut with prebiotics–ingredients that induce the growth of beneficial microorganisms in your gut. You’ll also want to consume foods packed with probiotics. The combination of prebiotics and probiotics can help get your microbiome into a healthy balance, with a good diversity of intestinal bacteria in your gut. When you have plenty of good bacteria, the harmful ones get crowded out and have a much harder time making you sick. Your digestion also improves, because your ability to absorb macronutrients and micronutrients is better when your beneficial bacteria are diverse and balanced. To incorporate prebiotics into your diet, choose plant-based foods that contain prebiotic fibers such as asparagus, cabbage, garlic, Jerusalem artichokes, onions, unripe bananas, cashews, pistachios, lentils and chickpeas. For probiotics, choose cottage cheese, kimchi, yogurt, kombucha and fermented cheeses. Other foods that positively impact your gut health include: Avocado, wild salmon, broccoli, blueberries, walnuts and turmeric. You can also supplement your diet with magnesium L-threonate, fish oil and coconut oil to fix your gut health. As a replacement for your usual carbs, choose instead varieties of rice, organic corn, flaxseeds, quinoa, tapioca, potato, amaranth, tofu, nuts and beans. Every sport—and ultimately, every athlete—requires an individualized approach to diet. As the positive effects of a gluten-free diet suggests, sensitivity isn’t a necessary predisposition for making a change. All athletes should consider the impact diet has on his or her performance—with or without dietary intolerances. Those eager to improve their game will learn that a killer serve on the court starts first with what is served on the dinner table.